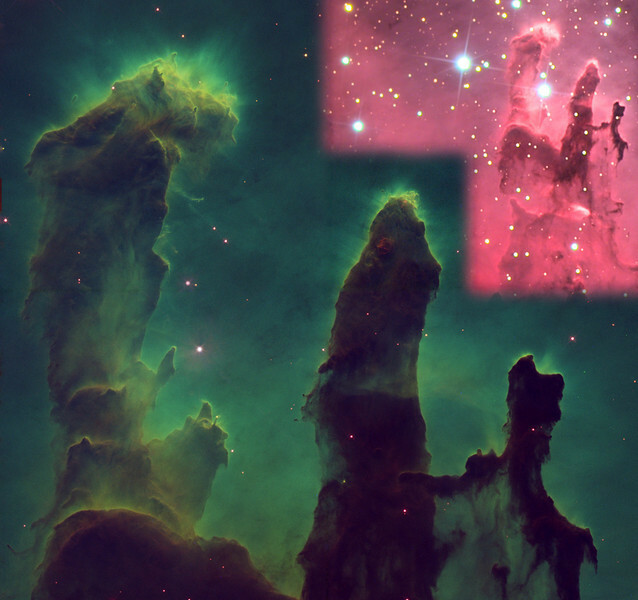 Eagle nebula pillars, M16. A false-color composite made from the original FITS data of the Hubbell Space Telescope, accompanied by an insert including the same region imaged through the 24 inch Schulman Foundation telescope on Mt. Lemmon, AZ. All image processing by JDS. The matchless quality of the Hubbell is breathtaking! Image created in honor of the late Zelda Segall.